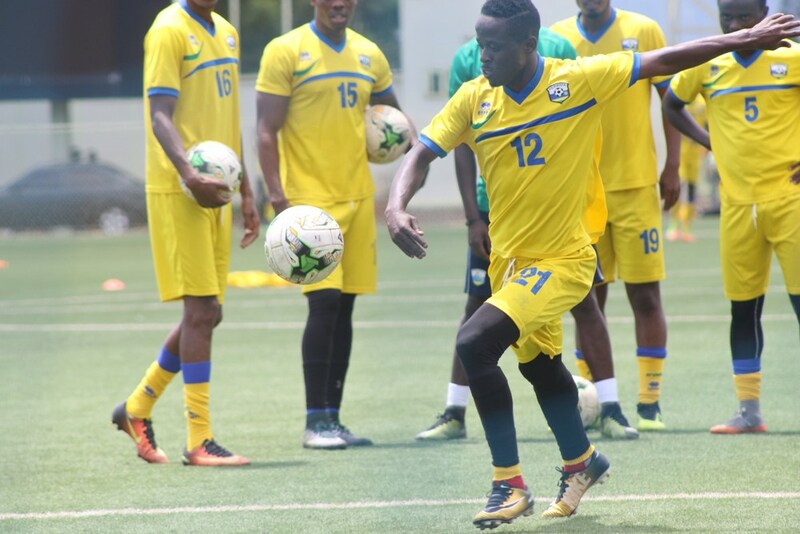 Skippers Haruna Niyonzima and Jean Baptista Mugiraneza have been excluded in Rwanda’s 27-man squad for their upcoming 2019 Africa Cup of Nations qualifier against Central African Republic. Rwanda hosts Central African Republic in match day five of the 2019 Africa Cup of Nations’ Qualifier on Sunday, November 18, 2018 at Stade Huye in Huye District, Southern Rwanda. The Amavubi head coach Vincent Mashami announced Rwanda’s squad to face Central African Republic on Tuesday morning at Ferwafa headquarters. Haruna, 28, with 69 caps for Rwanda since 2007, has had a torrid time with his new Tanzanian side SC Simba this season and Mugiraneza, 27, with 27 caps for Rwanda since 2006 and a skipper with APR FC were among the notable players left out by Coach Mashami who seeks to give exposure to other new players in bid to build a solid future squad. The duo have also been part of the Rwanda team which has played the last four qualifying matches against CAR (2-1) away in Bangui, Cote d’Ivoire (2-1) at home in Kigali, Guinea (2-0) away in Conakry and Guinea (1-1) at home in Kigali. “We still have respect for the duo, they are still integral in our national team set-up but for this game, we need to see how other players especially the new ones can cope with such a match of this magnitude,” Mashami said. “We know we are out of contention for a place of next year’s Africa Cup of Nations and we will not have any better opportunity than to bring and expose the new blood that we have summoned,” added Mashami. Going into the upcoming qualifying match, Mashami will be targeting a win over CAR. “Regardless of what has happened to our previous matches, we must win this game and secure maximum points. We started this qualifying campaign on a poor note but we need to finish on a positive note despite being out of next year’s Afcon finals,” he said. Mashami has uncapped players like Mukura VS defender Hussein Rugirayabo, Steve Rubanguka (Patromaasmeshelen, Belgium), Rashid Kalisa (SC Kiyovu),Meddy Mushimiyimana (Police FC) and Tresor Shema (Torhout 1992km FC, Belgium). Meanwhile, South Africa’s based goalie Olivier Kwizera who features for Free State Stars has also been omitted for next week’s game. Yves Kimenyi (APR FC), Abouba Bashunga (Rayon Sports FC) and Omar Rwabugiri (Mukura VS) will battle for the two goalkeeping slots in the 18-man Amavubi team which will take on CAR. The Amavubi team starts camp on Thursday night in Huye District and will kick-off intensive preparations the following day until November 17 at Stade Huye. After four matches, Rwanda is placed bottom of Group H standings with one point, none points behind leaders Guinea who are followed by former African champions Cote d’Ivoire who sit second on the log with seven points while CAR is placed in third position with 4 points. Defenders: Nirisarike Salomon (AFC Tubize, Belgium), Rwatubyaye Abdoul (Rayon Sports FC), Rugwiro Herve (APR FC), Manzi Thierry (Rayon Sports FC), Fitina Ombolenga (APR FC), Imanishimwe Emmanuel (APR FC), Rutanga Eric (Rayon Sports FC) & Rugirayabo Hassan (Mukura VS). Forwards: Medie Kagere (SC Simba, Tanzania), Tuyisenge Jacques (Gor Mahia, Kenya), Hakizimana Muhadjiri (APR FC), Usengimana Danny (Terasan, Egypt), Shema Tresor (Torhout 1992km FC, Belgium) and Mico Justin (Sofapaka, Kenya).